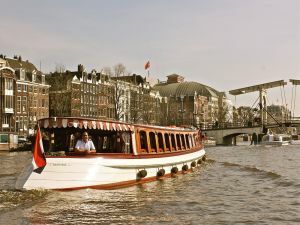 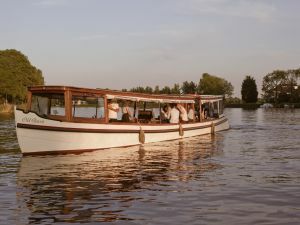 The Dame van Amstel was restored by Rederij Belle in 2004 to offer luxury cruises through the canals of Amsterdam, on the Vecht River, and the Amstel River. 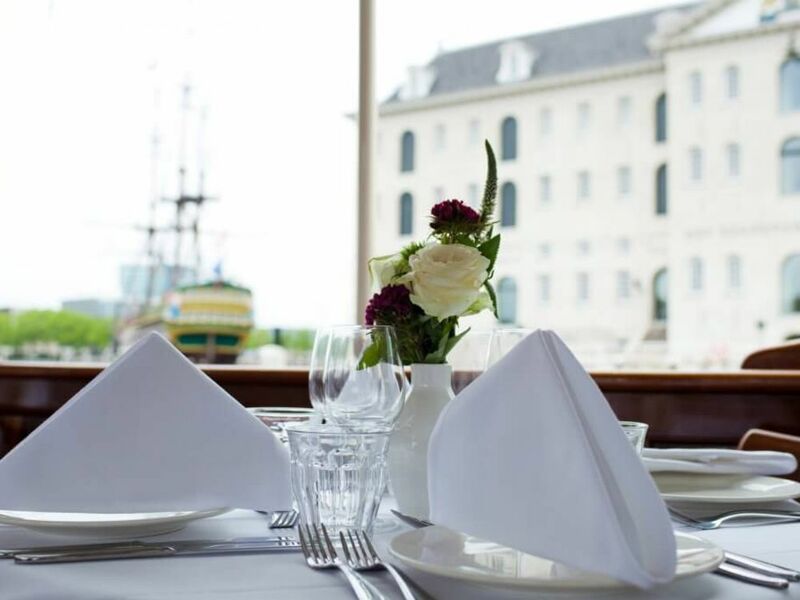 The ship has a classic look, with all the stylish details of the 1920s. 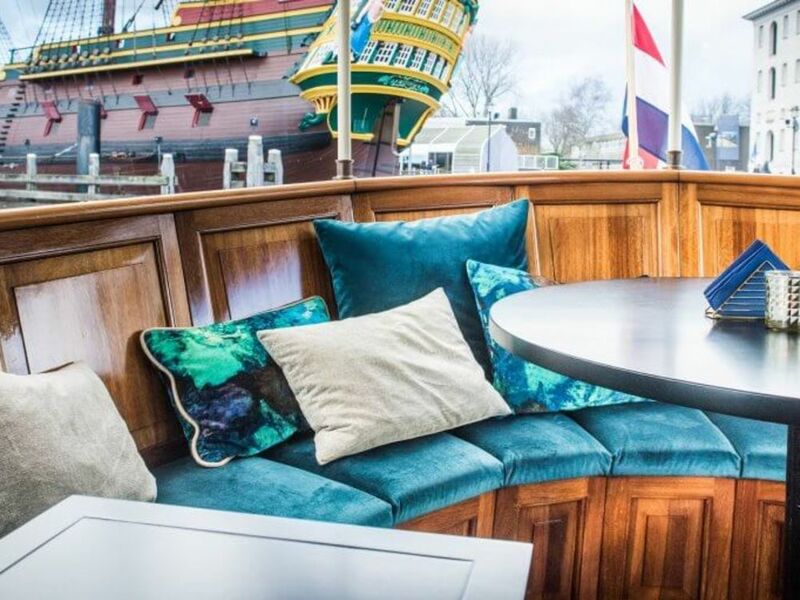 In 2017, interior designer Myrthe Stam van Co van der Horst gave the inside of the boat a refit. 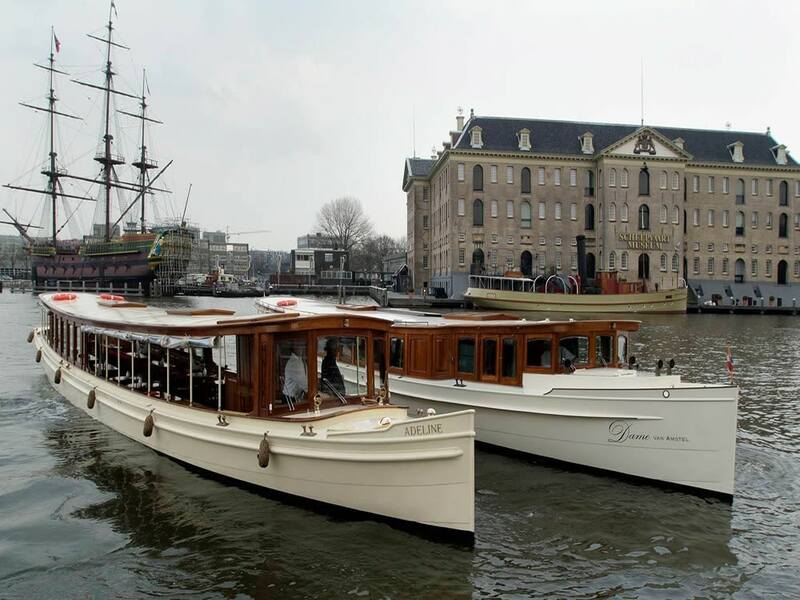 She wanted to preserve the classic look and feel but combine this with modern, high-end establishment and styling. 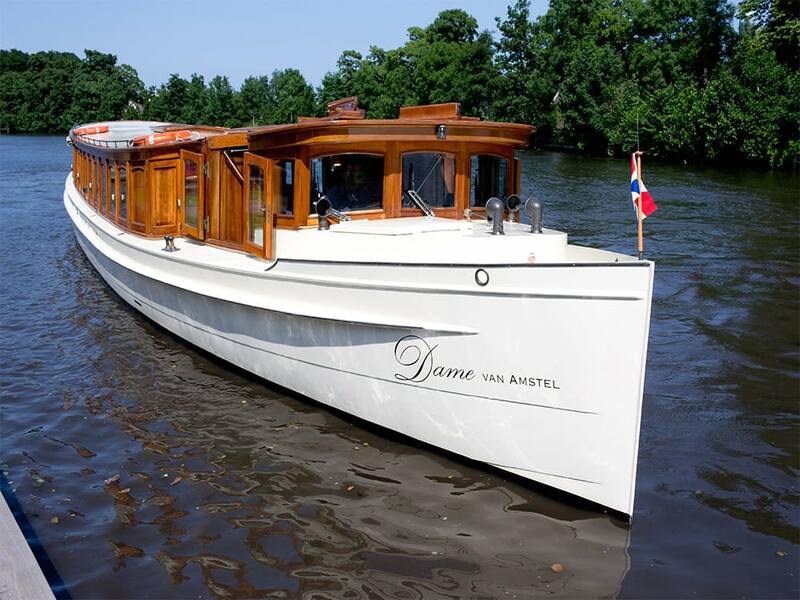 While the look is classic, the Dame van Amstel is fully-equipped to provide a contemporary, luxury cruise with excellent catering. 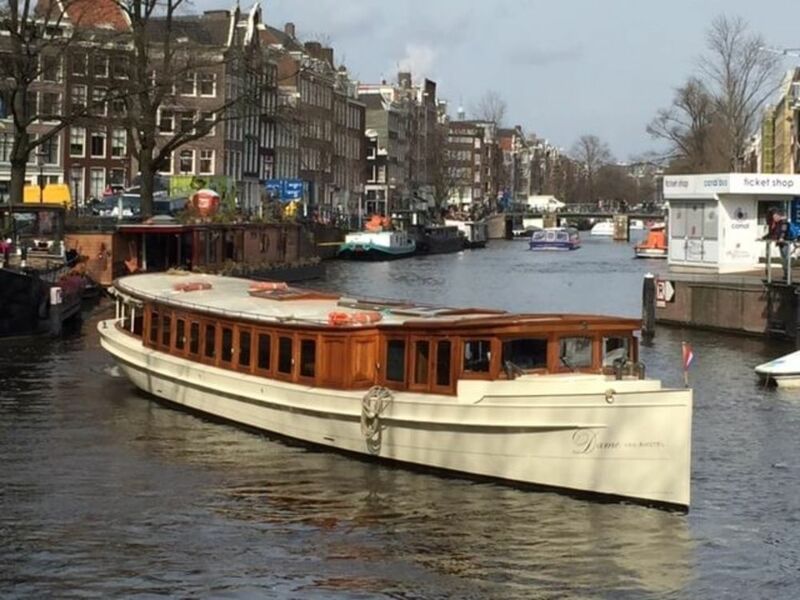 De Dame van Amstel is de biggest saloon boat in Amsterdam with the best equipment. 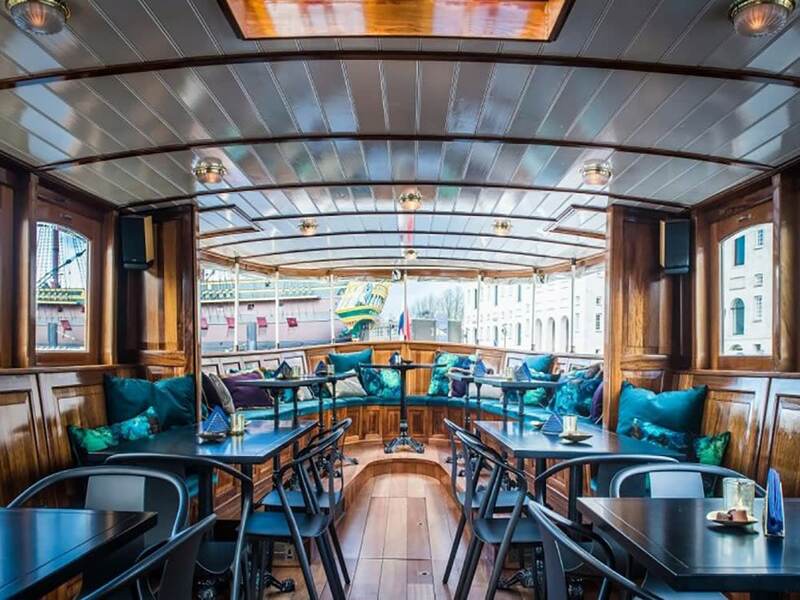 It has a espresso machine, a well stocked bar with the finest wines and champagnes, 2 bathrooms and central heating. 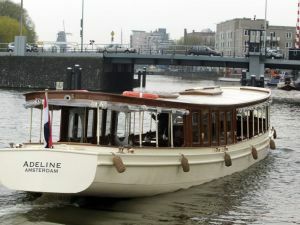 This makes the vessel especially suitable for seminars, presentations and business meetings. 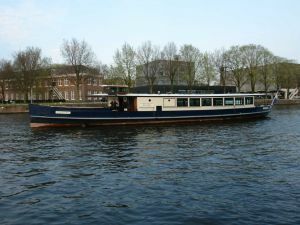 Furthermore, the Dame van Amstel is the largest saloon boat in the Netherlands, making it the perfect ship for onboard weddings.